Welcome to the beginning of another fantastic year of Rotary! July 1 starts our 2018-19 year and I am privileged to be this year's District Governor. 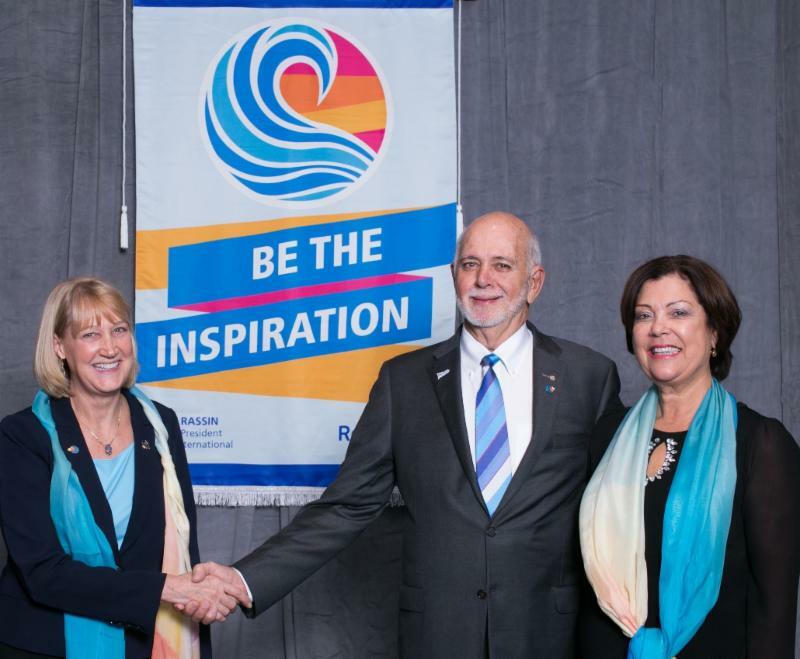 Barry Rassin, our Rotary International President, has chosen the theme of BE THE INSPIRATION . His explanation of the seascape theme logo includes the Sunrise or a new dawn for Rotary and the Wave carrying Rotary into the future. The colors are beautiful as is the thought. July has been a whirlwind of fun and enlightening visits to the Southeast Clubs of Ketchikan, Juneau, Sitka and Petersburg as well as a trip up north to see the small but mighty Nome club, and an in person meeting with our local eClub members. Visit our District 5010 Facebook page to see all the pictures of Presidents' Kaia, Dave, Helen, Aaron, Chris, Sharon, Kim, Jeff, Chandra, Nancy, Lew, Leah, Art, CeCe, Janet, John, and Aili and their club members and the local projects that continue to give back to their communities. I'm also gratified by the new members coming into join our forward thinking organization. The Wasilla Sunrise Club under the direction of Matt Stilstra, Dan Kennedy and President Janet Kennedy chartered our first formal Satellite club with 14 new members - this is just one of the "waves" for the future for Rotary - Congrats! August will be the kick off of Membership month so be sure to follow up on anyone interested in your clubs - we need more energetic and passionate members to continue your community and global projects. And I know you won't forget to have fun - a big part of what we do is enjoy each other's fellowship and company - and boy are you all creative at having a good time! A BiG THANK YOU to Rosie Roppel for her faithful delivery of our newsletter for several years. Her photography and Public Image skills are being requested for new District and Zone positions. THANK YOU ROSIE!